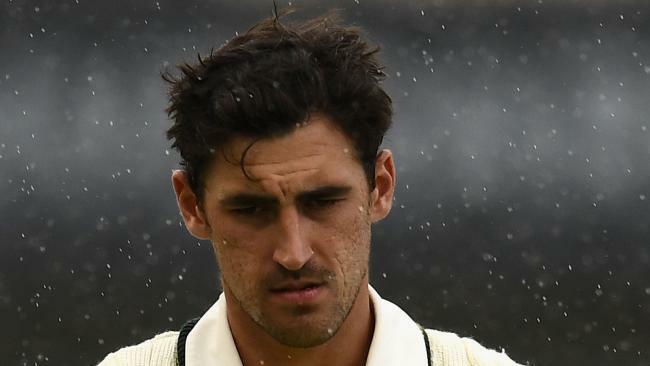 Australian pacemen Mitchell Starc is being monitored after he suffered a bruised heel. CRICKET: Mitchell Starc looks set for scans on his bruised heel later this week as the Australian fast bowler fights to prove his fitness for the Boxing Day Test. 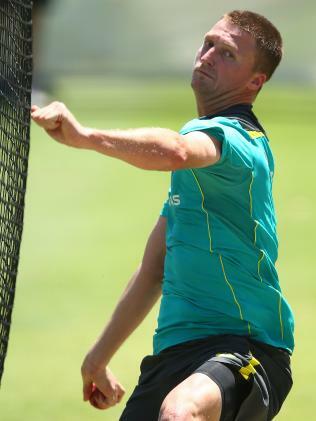 Jackson Bird is on standby to come into the attack at the MCG, with selectors and medical staff needing to seriously weigh up the risks of pushing their spearhead quick too far when there's an important South African Test tour around the corner. Starc arrived back in Sydney on Tuesday on crutches as he tries to rest his sore heel, but the big left-armer has already told captain Steve Smith he wants to play. For one of Australia's most established stars, Starc has had a cursed run with the iconic Boxing Day Test, and has played only one in his career. Teammate Usman Khawaja said Starc's injury wasn't overly serious and he would be desperate to play. "I think Starcy is doing alright. I'm sure whatever the case is, he's going to be doing everything he can to play on Boxing Day," Khawaja said. "He bowled beautifully this game. He was obviously in a bit of pain. But I think they're going to have to assess it in the next couple of days. You never know what's really happening until you get a bit of a break. "Hopefully he'll be there for Boxing Day." Mitchell Starc (left) rests his bruised heel in a bucket of ice as he celebrates with teammates Josh Hazlewood and Nathan Lyon on Monday night. Australia face an agonising call over Starc because players regard Boxing Day and the SCG Tests as the pinnacle, and being part of an Ashes whitewash is a rare achievement. As Starc's "ball of the century" delivery at the WACA showed, there is no bowler in world cricket capable of his lethal pace, swing and bounce. 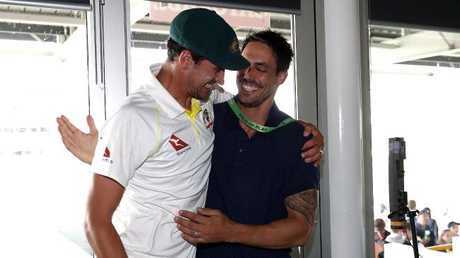 Mitchell Starc is congratulated by former Test fast bowler Mitchell Johnson after the third Test in Perth. Scans are likely for Starc and an update on his progress is expected by the end of the week. Waiting in the wings is Bird, a man who this year toured India and Bangladesh without getting a single game. Bird was never a legitimate chance to play in the first three Tests of this series, with the big three of Cummins, Starc and Hazlewood always preferred - and even Chadd Sayers was ahead of him as a shadow man for Adelaide. However, Bird has now entered the frame. Australia decided against releasing him to his Big Bash League club, and he will remain with the squad in the lead-up for Boxing Day. The first and last of Bird's eight Test matches have been at the MCG, and if Starc doesn't pull up during the week they will go with the ultra-consistent Tasmanian. Starc is a crucial component in the Australian attack and to lose him for any length of time would be an enormous blow. It's not yet known the extent of his injury and Australian medical staff won't get a chance to properly monitor him until after the Test. Australia have a huge amount of cricket ahead of them with a tour of South Africa to follow this Ashes series. Selectors and medical staff had always indicated it would be highly unlikely an unchanged bowling attack would get through this Ashes series. Starc has been overworked in the past and Australia will be determined not to do risk that again.